You will love the fresh herbs from the garden on this bread. Buy a fresh artesian style bread for the best flavor. For the bread, stir together the butter, mashed garlic, and herbs in a small bowl and season with salt and pepper. 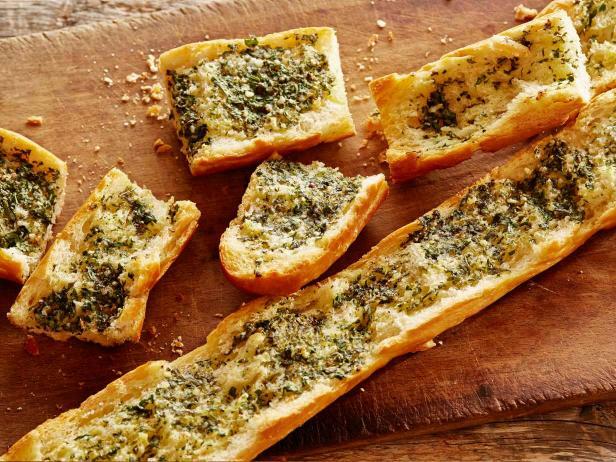 Tear open the loaf of bread lengthwise, spread the herb-garlic mixture over both halves and sprinkle with a little olive oil. Bake for 15 minutes.